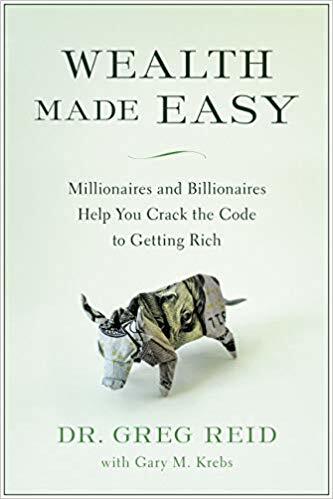 Wealth Made Easy is a short inspirational read for people just beginning to pursue their entrepreneurial dreams. Thirty-eight successful entrepreneurs share seventy-four wealth hacks to riches. Some of the hacks are extremely basic, like “find a need and fill it”. While other hacks are complex, like the biggest lie is “follow your passion and the money will follow”. Some just make sense, like “make your money work for you” through usually passive income streams (i.e., rent or other monthly fee). Many of the hacks are just brief summaries requiring reading another book that is referenced. My personal favorite is Wealth Hack #1, “buy dirt”. It is very specific about how to determine what dirt to buy. It makes perfect sense but I’ve never heard it before despite getting 55% through an MBA before switching to a different major. Most potential entrepreneurs will find a motivational idea or two within these pages. If you have already read all the books about building wealth or businesses at your library, this may just be a review. However, it is convenient to have it all in one place. Most business creation books have a large quantity of filler or examples just to get the book to a certain page length. Wealth Made Easy does not. It usually only has one example for each hack and the entire book is about 200 pages. Overall, this book is recommended for its motivational appeal. 4 stars! Thanks to BenBella Books and NetGalley for a copy in exchange for my honest review.